When Urban Trial Freestyle was announced a few months ago, it was pretty clear that it was meant to be Sony’s answer to the Xbox-exclusive Trials series. 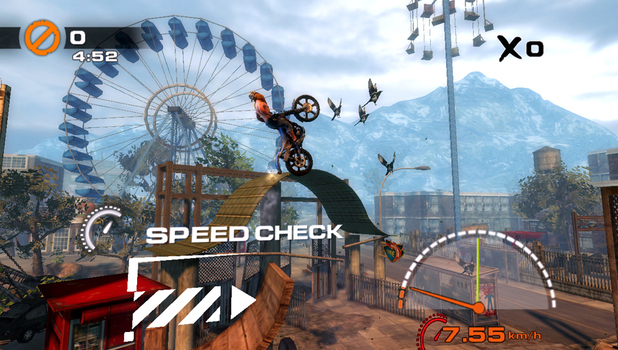 The screenshots and later gameplay footage looked identical to Red Lynx’s popular downloadable games, and in case we weren’t sure, the word “Trial” was even included in its name. 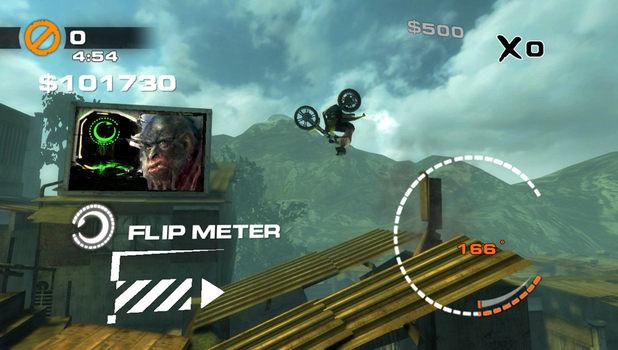 Now that it’s released, it’s official: Urban Trial Freestyle is essentially a poor man’s Trials HD/Evolution. The same core gameplay is in place — you take control of a nameless dude on a motorcycle, with the goal being to make it to the end of a course as fast as possible. There are 20 tracks in total, making for 40 levels since each is played twice. Aside from the standard “trials” where the clock keeps ticking even after you crash your bike, some levels throw in a handful of mini-games. These include hitting a jump as high as possible, riding fast through a speed zone, and aiming precisely for the target of a bullseye. The better you do, the more points you get. These mini-games are noted in advance by large billboards that show the current record (either worldwide or your personal one, depending on your preference) as well as a picture of the record-holder. These billboards add a new dimension to the competitive nature of the game, as it’s fun to see just who exactly you’re up against. Since the game is still brand new, I was able to set records with relative ease in the later levels. If you see an orange cat, that’s me. In an interesting twist, each level also includes $5000 worth of money scattered around. Some money bags are near unmissable, but others require some backtracking and/or slick maneuvering to acquire. 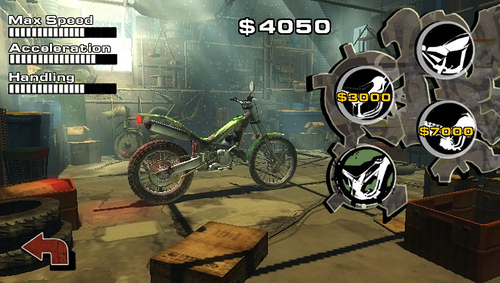 This in-game cash can be used to upgrade your bike (of which there is only one), or to customize your character (again, only one). Since it’s not hard to accrue cash, it’s possible to have your ride decked out pretty early. And that’s pretty much it as far as gameplay differences go. The in-game physics are finely tuned, though the lack of analog gas/brake triggers doesn’t allow for the most precise of movement. Courses are generally well-designed, if mostly bland in appearance. The same could be said for the graphics and sound departments — perfectly acceptable, but not particularly memorable. 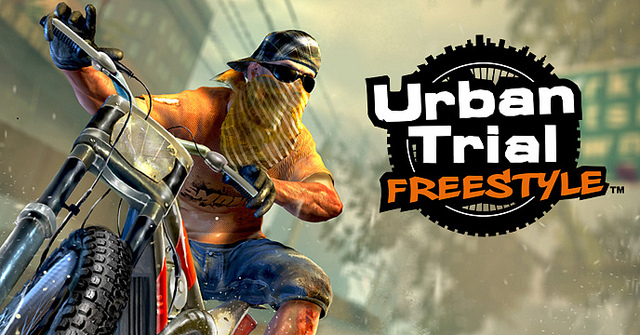 Urban Trial Freestyle is not a bad game by any means, but it could have been so much more. The difficulty is marginal at best, and the campaign can be completed in just a few hours. It will take longer to go through and acquire five stars on every track, as well as gain all of the cash bags, but I suspect most won’t have the motivation to do so. This is in direct contrast to the Trials games, which featured some truly challenging (and well-made) tracks near the end, while also including an impressive array of community-created content. UTF could just really use *more* content. Still, for $9.99 (or $7.99 with Playstation Plus), this isn’t a bad deal. The short levels (all of which last less than two minutes) are perfect for portable gaming, and overall this is a decent substitute for the Trials experience. Note: Although this is also on PS3, this is not a cross-buy title. If you want to play both, it will cost roughly $25. The PS3 version is said to have improved graphics and more detailed levels. I was looking forward to this one, shame it’s not very good. It’s not bad or anything, just average overall. Worth trying out the demo at least.